Anirudh Gives A Huge Update About Petta Marana Mass Song! 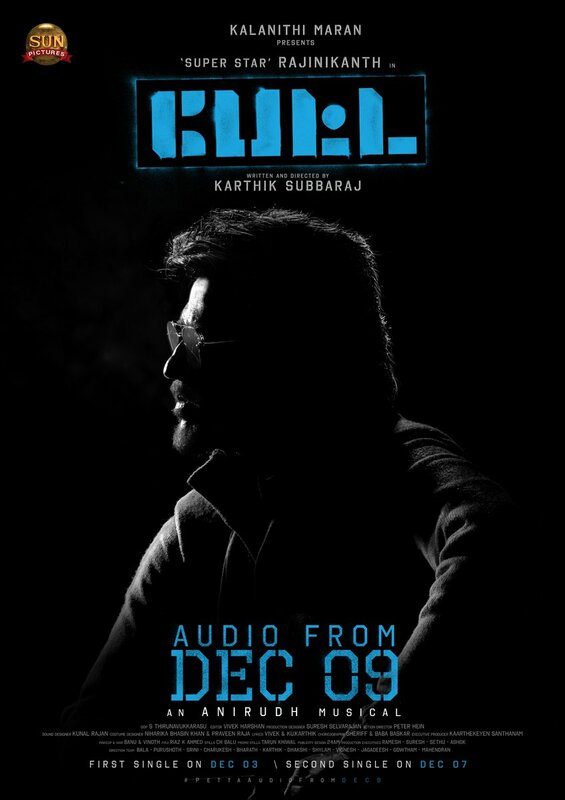 Petta is an upcoming Rajinikanth starrer directed by Karthik Subbaraj. The movie also features Vijay Sethupathi, Simran, Trisha, Sasikumar Nawazuddin Siddiqui, Bobby Simha, Megha Akash in key roles. The project is bankrolled by Sun Pictures on a big scale and they have announced that the movie will hit the big screens for Pongal 2019. Young sensation Anirudh Ravichander is the music composer of this exciting venture. Last week, the makers officially came up with rocking music updates from the movie that the first single song will be unveiled on 3rd December, the second single song from 7th December and the whole album will be released on 9th December. Earlier today, they have also revealed the name of the song is ‘Marana Mass’ and it will be out on coming Monday evening at 6 pm. Now, music director Anirudh Ravichander has given an additional information in Twitter account that popular lyricist Vivek has penned the lines of the song.